Time has gotten so elusive I almost titled this post "July life updates." That's bad, y'all! Once again, it's mid-month. It's been hotter, busier, and more transitional than the other months. No? I say that every month? Ok, fine. daily dose of vitamin D, courtesy of my apartment pool last week! Exercise: Due to a recent personal endeavor, I'm now required to attend 7 - 11 hot yoga classes a week. No excuses. Once this weekend's wedding is over (Woo hoo Dawn & Jeff!!! ), you can expect to find me sweating in spandex every waking moment of life. In between working on my August/October weddings, of course. Beautiful Workspace: Again. Horrific. I need a lifespace makeover. "We must get our own lives in order before we can best serve others." <-- Words of wisdom from my own two lips. Putting that into practice? I may need more help. Looking Presentable: As someone who has been out in public significantly more in the warmer months (hello, busy season! ), I've been good on this front. Minus the scantily-clad yoga outfits I live in at home. It's too hot for real clothes. Ain't nobody got time for that. 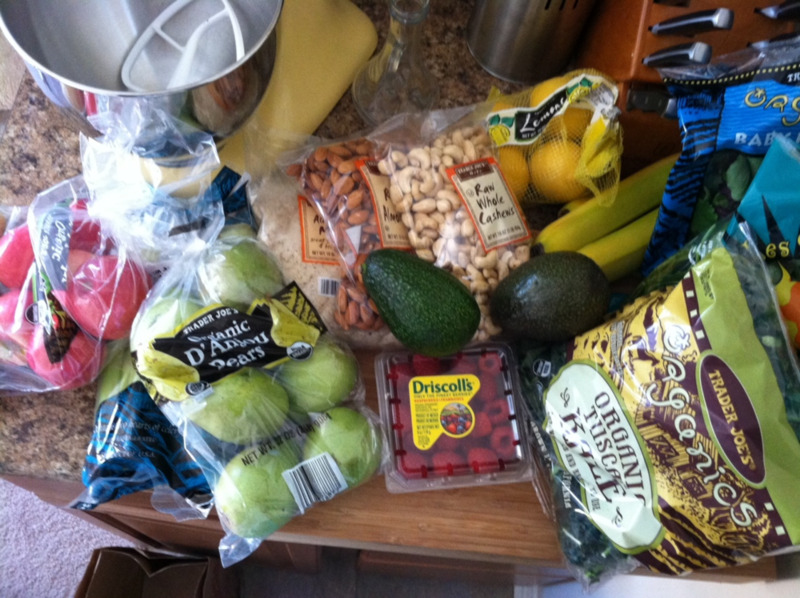 Eating Healthy: I blame my husband for leaving on work travel. Yoga is going to fix me, I'm telling you. Faith Building: Still in progress to become members at our church. I'm still on "needs improvement," but several things have been enlightening over the past month. One of my six-month goals is Consistency. Time to get to work. Going Outside: I practically live outside. Or in my car, since I've traveled more this past month than ever before. (Oh wait, I did the same thing pre-marriage...) But there are windows in my car and I have to roll them down when I drive Drew's Jeep. So there's extra "Outside" time. Undivided Husband Attention: I live for this. Sadly, Saturdays are pretty much it. He's my favorite person. I wish he was home more. Preparing for Success: Needs improvement. Major improvement. Some things are improved, but some things... not so much. Making Time to Dream: I really love dreaming with clients. I love hearing their thoughts, ideas, looking at inspiration pictures, and then collaborating on real life projects and end results. Reason #134332523 I love my job. Cooking/Learning Domesticity: I don't think I've cooked since April. YIKES. 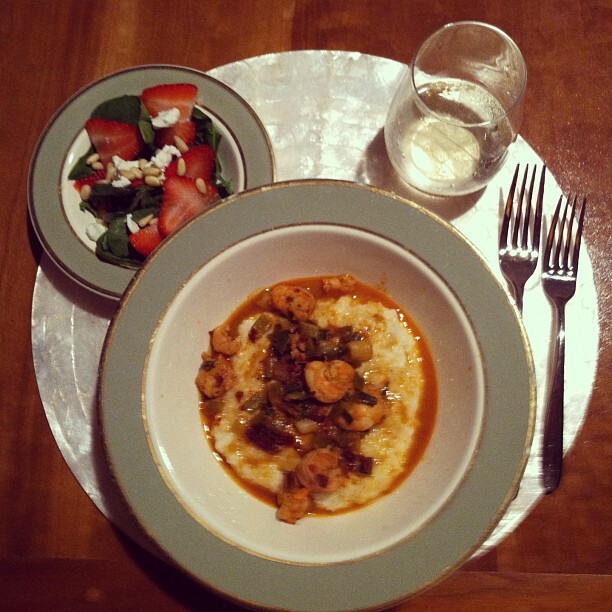 Oh wait, I did make some really terrible shrimp and grits. Because my cooking efforts decrease substantially whilst cooking for one. 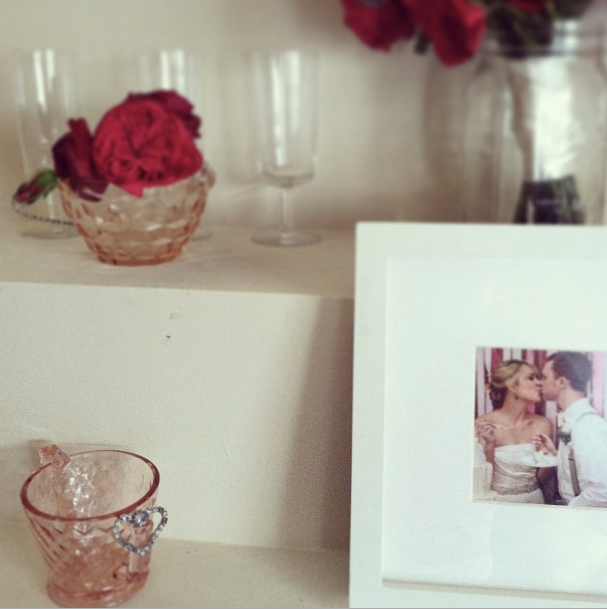 Serious delving into summer/fall 2013 weddings! Let's go! Living & breathing yoga. Becoming a better person all-around. Home improvement. Delegating days to tackle projects. No more excuses. Learning how to live as a party of one for a while. Being more intentional with time as a party of two. Our first anniversary!!! One month + two days! My best friend from California coming to stay with us next month! She will totally judge me if my house is looking shabby, so let that be my goal to keep this place in shape. Learning consistency. What happened to that word of the year I was supposed to be working on? Where's my focus? Cooking. Something. Anything. At least making one helluva smoothie. BE PREPARED. Become an adult girl scout. Hypothetically, of course. If I had my ideal situation, I would write back to you in one month and say I have been weaning myself from black hole distractions, purposeful and intentional with my actions, appreciating my husband more and serving him better, serving my clients to the best of my abilities 100% of the time (going above and beyond consistently), increasing my knowledge, compassion, and awareness, building my faith, and an awesome cat-mom. A bad habit of mine is to write about self-improvement plans I hope to implement... and then forget about them. WHOOPS! I have so many good intentions but oftentimes lack the memory-space or FOCUS (there's that word again!) to really ACT on my goals/plans. So here's a gauge of progress... lists of the things I've aimed to do, and how I did this week! fresh produce = life-giving foods! Tidy Home: I did manage to purchase some necessary large plastic tubs, lined baskets, and a few household things to help us keep a happy and organized home. I'm spending the rest of the afternoon today vacuuming, tidying, and working on "the system" so maintenance takes far less time than doing everything all over again (which is what we've been doing the past six months... yikes!). Beautiful Workspace: This project has kind of been on the backburner lately, since we really need to install some shelves above my desk before I can get everything settled. Hoping to have some drilling days ahead of us this weekend! Faith Building: This has been great!!! I've been listening to sermons with Drew every night, our small group met up for the first time of the year last night, and I started a SheReadsTruth bible-reading plan on Tuesday! Score for prioritizing the spirit! Going Outside: Whomp whomp whomp... this has been limited to walking to my car or mailbox. Such a shame, considering the beautiful weather! Undivided Husband Attention: Needs improvement. I need to wean myself from my iPhone. I'm earnestly trying to do a Social Media-free weekend starting tonight, so crossing my fingers for success! Cooking/Learning Domesticity: Something's gotta give. This week, it was cooking! I've struggled a bit with thinking up and living my ideal day. It's hard for me to put to words exactly how I'd like to spend my days, and things rarely ever seem to go exactly how I'd want them to. Especially with my event planner schedule (SPORADIC! ), two days are never identical. I could be writing blog posts for the week ahead, running errands for styled shoots, emailing vendors about events, tweaking elements of my website, planning for the future, going through business finances or legal documents, executing events, or meeting with potential clients. Even my workday can vary -- my set office hours are Monday - Thursday 9AM - 4PM (weekends reserved for event dates or precious family time), but rarely do I completely adhere to these. Some days I would say things were as ideal as I could have them -- productive work hours, getting important things done, running vital errands, having difficult but necessary conversations. There are certain elements that definitely characterize a day as "ideal" (exercising -- particularly through hot yoga, eating healthy meals, taking walks, staying on task and focused, not sleeping in, etc). But defining a specific blueprint is HARD for me. Sparkly things, pretty fabrics, gorgeous colors and textures, fresh flowers, emotional moments, animals, glamour, windows open, and candlelight are a few things that bring me joy. I can always wear a sparkly necklace, work on a lovely project that requires some sewing and construction, keep fresh flowers in the house, admire my pets, open windows, dress up and light candles... those are easy ways to make my life more "fired up" in the moment.